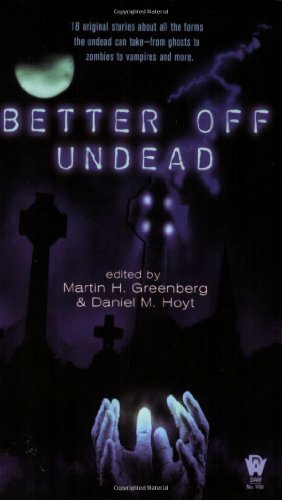 18 original stories about all the forms the undead can take—from ghosts to zombies to vampires and more. Section introductions ©2008 Daniel M. Hoyt (Part 1 Afterlife (first 4), Part 2 Spirit (second 4), Part 3 Flesh (next 5), Part 4 Undead (last 5)). "Ah, Yehz" by Alan Dean Foster is ©2008 Thranx, Inc.
"Two All Beef Patties" by Jay Lake is ©2008 by Joseph E. Lake, Jr.